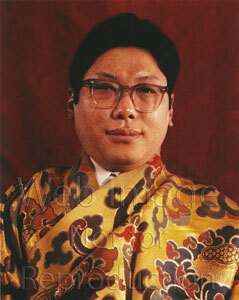 Official Chögyam Trungpa Rinpoche shrine photo, for use on centre and home shrines. Colour photo by George Holmes and Andrea Roth. Colour print, 5" x 7" or 8" x 10"